Treads and risers are being made in glulam version. 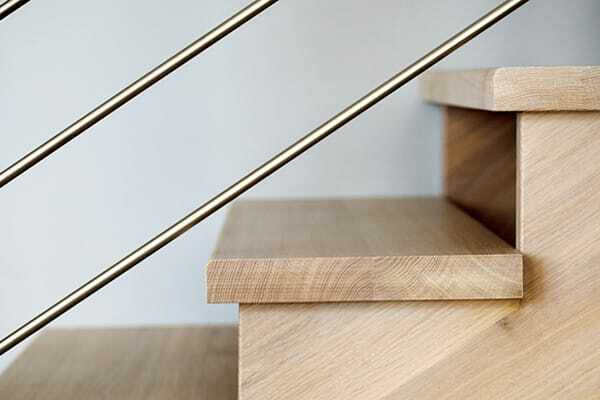 They are made of solid oak and they give the impression of a strong and stable staircase. Staircases are manufactured in different dimensions, depending on the needs of each individual customer. They may be easily adapted to any environment through the use of brushing and oiling techniques and they easily fit into any environment.